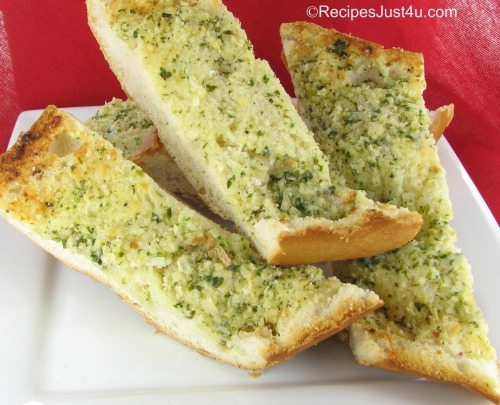 I love garlic bread. 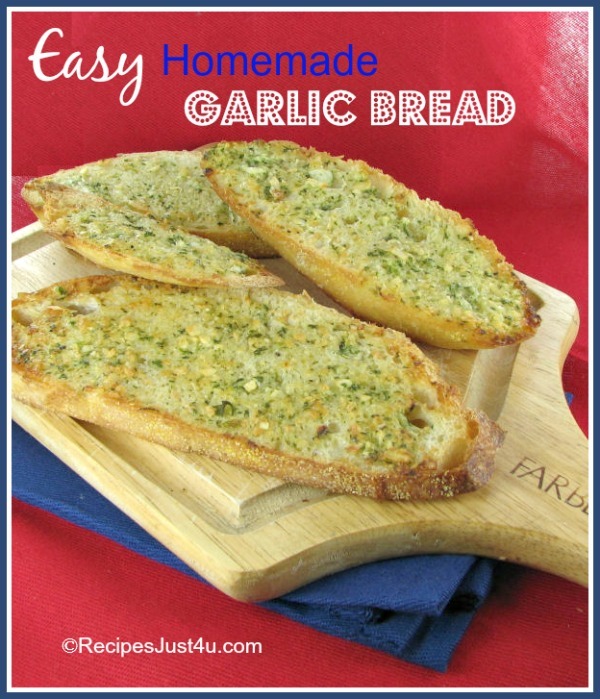 Not only does it adds the perfect touch to any hearty Italian meal but it is also one of my favorite easy appetizers. 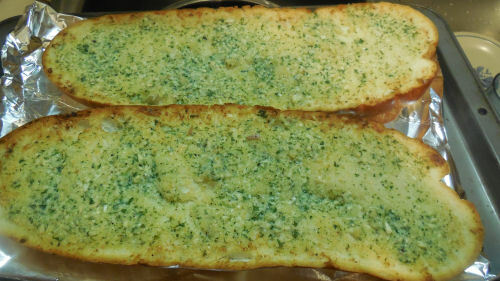 You can buy the garlic butter loaves at the store but there is no substitute for this homemade garlic bread just out of the oven, made with fresh ingredients. This recipe is so easy to do. You can cut the bread in half as I did in this article, or you can slice it almost all the way through in slices and just put the butter between the slices, wrap in foil and bake that way. Either is delicious. 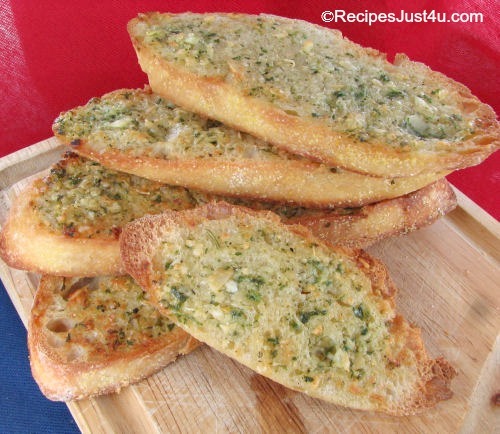 The recipe requires just five ingredients: A loaf of Italian bread,(store bought is fine, or you can make your own homemade Italian bread) garlic, butter, fresh parsley and fresh Parmesan cheese. 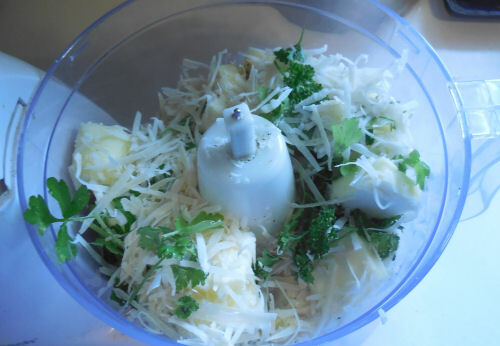 Place all of the ingredients except for the bread into the food processor. Pulse until the mixture turns into a buttery texture. Cut the Italian bread in half length wise. Take it out of the oven when the butter and cheese have melted and the edges just start to turn brown. I made a double batch of the butter. 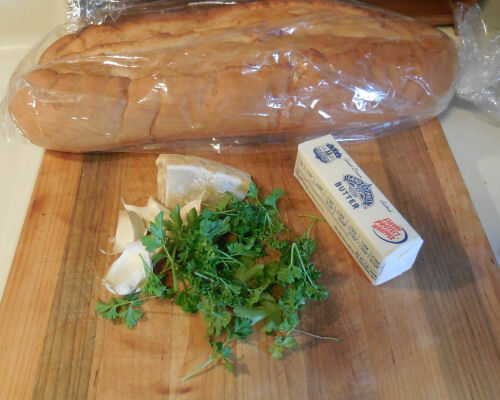 I used half of it for the bread and wrapped the remainder in saran wrap for easy and fast garlic bread another night when time is rushed. It keeps quite a while, so you can use it just for a few slices of bread and wrap it again for another night. This recipe is great with my homemade spaghetti sauce with pork chops. 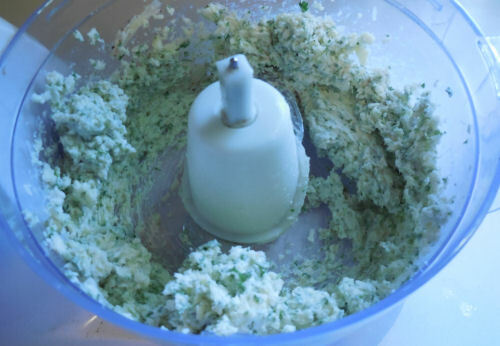 Preheat your oven to 400 º F.
In a food processor, combine all of the ingredients except for the bread. It will make a paste. 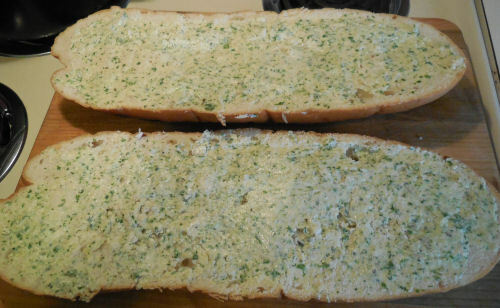 Spread the garlic butter mixture evenly over the Italian bread. Set both sides of the bread, spread-side up, on a baking sheet lined with aluminum foil and place in the center of the oven. Bake the bread for 10-15 minutes at 400 º F. Take care to pay attention to the bread so it does not burn — every oven is different. Once golden and slightly browned on the edges, remove from the oven and set on a cutting board. 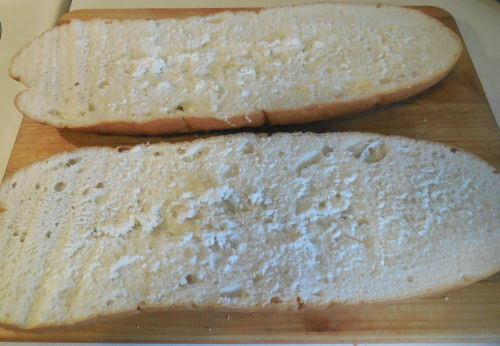 Allow to cool for 2-3 minutes and then cut the bread into individual sized portions and serve.